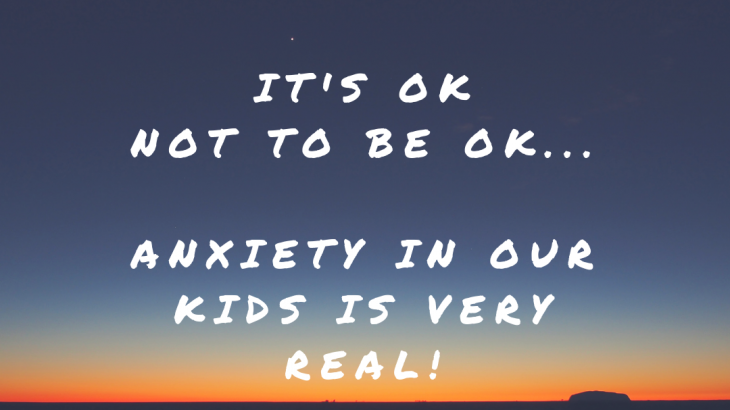 Parents who follow my Facebook page will know that I was outraged a few months ago when a prominent figure in education declared to a room full of parents that there was ‘no such thing as anxiety’. This was the head of a school, addressing parents of eleven year olds who were about to embark on the most daunting phase of their education yet – the transition to secondary school. Some children will cope absolutely fine throughout life. Others may find things more difficult. To some children, it is ‘just butterflies’ when they are feeling nervous. To other children, feelings of anxiety can overwhelm them. It can be for a reason, or they can just appear out of nowhere and they can’t explain why… they just feel anxious. Unfamiliar situations such as a transition to a new school or a change in family circumstances can heighten these feelings immensely. Even something which is meant to be enjoyable, such as going on holiday, can make anxiety worse as it is unfamiliar. The worst thing you can do is tell a child to ignore the way they feel and belittle it. You need to help them understand these feelings of anxiety so they can take control of them. Tell them it is ok to feel this way but they have to stand up to these feelings and not let them get the better of them. Anxiety can be overcome if dealt with correctly. It may never go away but you can learn to cope with it better. I remember secondary school being hard enough when I was a child. Imagine growing up in the world we live in today. A world where you practise drills in school in case of a terrorist attack. A world where you constantly have social media telling you that everyone else has a perfect life. A world where, instead of hanging out with your friends, you now chat to them over a set of head phones whilst playing a game where, nine times out of ten, there will be guns involved. The modern world is bringing anxiety with it and it is unavoidable. Sure, you could be the parent who makes a stand and stops your children playing these games. You could be the parent who stops your child having a phone. But, as they grow up in this modern world, if they are to fit in, this is unrealistic. This then subjects them to the isolation they feel when they are not part of what everyone else has. It is a no win situation. The best thing we can do as parents is talk to our kids. Be open with them. Let them know that it is okay to feel anxious at times, it is okay to feel overwhelmed by everything, and you’re there to help them process these feelings and cope with them. Ignoring something that is very real will not help anyone. Understanding and talking is how to help. The worst thing you can do is make an absurd statement such as ‘there is no such thing as anxiety’ just because it’s easier to ignore it than deal with it.